InnerSource is an emerging software development paradigm, aiming to use and adapt Open Source development models within the boundaries of an organization. InnerSource has been shown to produce benefits of increased R&D efficiency, improved innovation, higher software quality and better talent acquisition and retention. With that said, implementing InnerSource within an organization is not easy. There are many dimensions and parameters that can impact a smooth implementation such as changing corporate culture, shifting manager mindsets, measuring success, forging consensus, and accommodating customer-committed delivery dates. Some of the challenges for InnerSource include: how do you change your corporate culture? How do you measure successful implementation? How do you change the mindset of middle managers? How do you forge consensus for software component requirements across two or more different business lines? How can you accommodate customer-committed delivery dates into a paradigm based on open source methods? We are tackling these challenges and more with InnerSource Patterns. What InnerSource patterns are and how they solve specific problems within an organization. How to implement two patterns—Common Requirements and 30 Day Warranty—and discuss answers to new InnerSource challenges by creating "donut" patterns. Understand how you can contribute to and learn from the InnerSource Patterns group on Github and Slack. 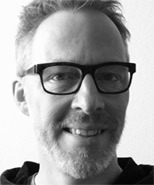 Tim is a Distinguished Member of Technical Staff and Domain Leader for Open Source Innovation in the Nokia Mobile Network CTO Core and Cloud Innovation team, working on software reuse, InnerSource, open source and cloud robotics topics. Over his nineteen-year career in telecommunications, Tim has held roles in software testing, system engineering, architecture, and procurement. He served six years on the Alcatel-Lucent FOSS Executive Committee. Tim has experience creating grass roots communities within the company and outside of it; he is a volunteer co-Municipal Liaison for National Novel Writing Month. 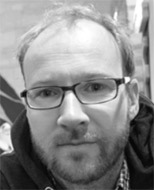 Robert Hanmer works in a CTO performance and reliability engineering group at Nokia. He previously worked on switching system integrity and has consulted internally on architecture, reliability, performance and open source. He is active in the software pattern community and has written many patterns about real-time and embedded systems and two books: "Patterns for Fault Tolerant Software" and "Pattern Oriented Software Architecture For Dummies". Nick is an Open Source Strategy Consultant, having recently worked at Red Hat Inc. to lead their customers through the open source way. He is a member of the InnerSource Commons community, working to formalize the art, science, and psychology needed to bring open source culture into organizations. Mr. Yeates has a community management background, as well as technical experience from mature startups, higher education, and military defense agencies. At Zenoss Inc, he led their online open source community toward a distributed software development paradigm. At the U.S. DoD (Department of Defense), he led a program-wide InnerSource implementation. Padma has 25+ years of experience defining E2E Solutions for wireless systems; Analytical with a proven track record of solving complex customer problems and defining standards in telecommunication. 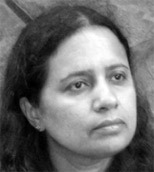 As a Director and Domain Leader in Nokia Mobile Network CTO Core and Cloud Innovation team, Padma is responsible for software transformation with open source and inner source methods, defining innovative solutions for deployment of massive Internet of Things and Cloud based services. 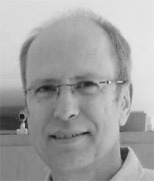 Georg Gruetter is a passionate software developer with over 30 years of experience. He has been leading the first InnerSource community within Bosch since 2009. He has co-founded the Social Coding initiative within Bosch and is now driving the adoption of InnerSource as an Evangelist within Bosch. Georg is also an avid recumbent cyclist and stargazer and generally collects way too many hobbies. 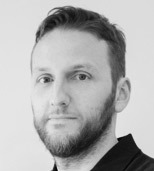 Robert is a founding member of the Social Coding Team at Bosch, in which he is driving the adoption of InnerSource within Bosch as a Social Coding Evangelist. Over his nine year career in software development, Robert has worked in different technical areas from laboratory equipment to automotive components before he joined Bosch in 2011. He joined the InnerSource movement at Bosch in 2012 and has led his own community before joining the Social Coding team. He is a passionate motorbike rider and a proud father of his little son which consumes nearly every bit of his spare time. Erin Bank is an Advisor of Engineering Program Management for the CA Technologies Office of the CTO, where she built and currently drives the Inner Source program for CA Product Development. She also provides program management for the CA Accelerator program, where internal innovators receive support and funding to get new products into market. 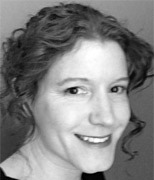 She is a contributing member of InnerSource Commons, committed to establishing best practices with the community. She is also an elected member of the CA Council for Technical Excellence, with 20 years of experience in technical communications and engineering program management in North America and abroad. Erin has Lean Six Sigma and Pragmatic certification. Daniel Izquierdo is co-founder of Bitergia, a start-up focused on providing metrics and consultancy about open source and inner source projects. His main interests about open and inner source are related to the community itself, trying to help community managers, organizations and developers to better understand how the project is performing. 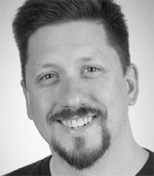 He has contributed to several open analytics dashboards such as the OpenStack, Wikimedia or Xen. He has participated as speaker giving details about gender diversity in OpenStack project teams, the Linux Kernel and in the Hadoop ecosystem among others. Daniel holds a PhD in free software engineering from the Universidad Rey Juan Carlos in Madrid, where he focused on the analysis of buggy developers activity patterns in the Mozilla community. 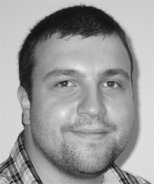 Dr. Klaas-Jan Stol is a Research Fellow with Lero—the Irish Software Research Centre where he has worked for over 8 years. 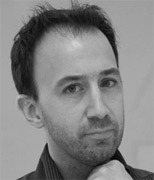 He holds a PhD in software engineering from the University of Limerick on Open and InnerSource. 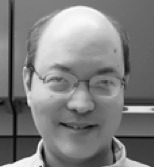 He conducts research on contemporary software development methods and strategies, including InnerSource, Open Source, crowdsourcing, and agile and lean methods. His work on InnerSource has been published in several top journals and magazines including ACM Transactions on Software Engineering and Methodology and IEEE Software. In a previous life, he was a contributor to the Perl 6 open source project. Cedric Williams is a technologist, pilot, coach, and advocate for individual freedoms. He works as an InnerSource advocate for PayPal and to help grow the InnerSource Commons community. He aspires to use narrative and technology to make communities powerful.